What you should know about divorcing your spouse in a Nigerian Court. As a divorce lawyer in Nigeria,I am always confronted with the question, “How do I get divorce papers?” or “I want to give my husband/wife divorce papers to sign” Each time I hear that, I smile because I know we watch a lot of foreign movies in Nigeria. The truth is that there is nothing like divorce papers within the context of what most clients have in mind which is usually a procedure where you just send your spouse a paper and he or she signs zap!You are divorced. The Lawyer draws up a petition after fulfilling other requirements of the law, serves the other party who will have about 28 to 30 days to respond to it depending on where he resides. Divorce matters are exclusively heard in the State High Courts for marriages celebrated under the Laws of Nigeria. This simply means marriages celebrated at the registry which many people refer to as court marriage. However, some religious organisations designated licensed places of worship like the Catholic church,Anglican Church etc are empowered to conduct marriages under the law and such marriages are treated as marriage under the law. There are about five documents your lawyer will prepare to file in court for the purpose of starting the proceedings. The documents will be served on the other party called the respondent through the Sheriffs of court or by any other means ordered by the court depending on where he/she resides. When the respondent (the person sued) receives the document, what he/she will do depends on if you have a child or children who are less than eighteen years old or not. If you have a child or children who are less than eighteen years,what that means is that there is a likelihood that the issue of custody will arise. The respondent can respond and ask for custody of the Children which you have probably asked for in your petition. The respondent can respond and contest that he or she did not commit adultery (i.e if that is the reason for the divorce)If he/she succeeds and that is your only reason, you won’t get the divorce. The respondent can file a reply and concede custody but propose terms of settlement on how to have access to the children. The respondent can file a response to disprove your reasons but yet do not oppose dissolution of the marriage. He/she can refuse not to file anything. If your Marriage is less than two years, you will need to obtain an order of court before you start your proceedings. 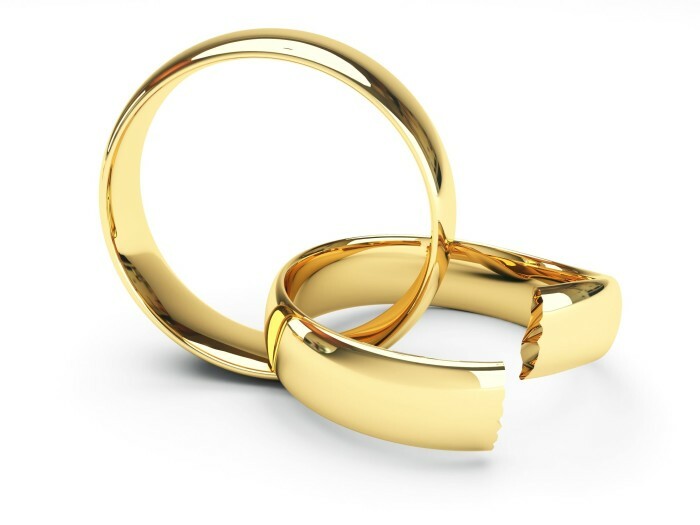 When the court finally grants the divorce,it does not take effect immediately. It is called order Nisi.It takes effect after three months when it becomes order Absolute. The average divorce proceedings where there is no issue of custody can take as long as six months to conclude. It will take a longer time if there is an issue of custody. I appreciate you for this article ,I just stumbled over it on face book. Just thinking of doing so. Fortunately, we don’t have kids. I want to clear if I got you right if the dissolution won’t be effective until three months after.? I appreciate you for this article.I intend to sue for a divorce but im taking my time so as to get things right.As one who is married in the traditional way,can i approach the court for a divorce? Hello Fidel,thank you for your enquiry.As soon as the dissolution is pronounced,it is effective .The period of three months is the period allowed for appeal and if it is not appealed aginst,it becomes absolute(irreversible).That period of Degree Nisi and Degree Absolute could also be a period allowed to see if the couple can settle before it becomes absolute.Hope I answered your question.Feel free to ask any other . I’m afraid Bernice you cannot if the traditional marriage is the ONLY ceremony of marriage you contracted. Nicely written, Nigeria n women should have more education on this. @Anthony Atata I think you can approached a Customary Court to dissolve a marriage contracted under customs and traditions. You can actually approach a customary court to commence a divorce proceedings since you contracted a customary marriage. We had some time back in 2011 obtained a statutory declaration of marriage.cant that serve? Hello Bernice,Raphael and Seye are right.I also indicated it in my article in bracket that you can approach a customary court.However,you cannot approach a High Court. Where and how did you obtain the said statutory declaration of Marriage? Anthony Atata, Esq. I’m impressed with your concise article. Actually, i’m a 200l student of law, Absu. Frm the article, i was able to have a new knowledge compare with one i had b4 in respect of decree Nisi and decree absolute. I ve seen the difference that lied btw both. Bt my question is, going on the dissolution of marriage under customary law, u stated it’s done under customary court… Now, i believe when applying the law, the custom and tradition of the locality where such marriage is contracted will be applied and i also believe that if such custom is repugnant in respect of natural justice and equity the court will not apply it. Now, in the issue of #barreness, it’s believe that it is a ground for dissolution of marriage contracted under customary law. So, if a party decides to seek for a separation of marriage on the premise of bareness as stipulated by their custom and tradition, will the customary court apply it? Despite the fact that such application will be against natural justice, equity and good conscience. In my own individual view, i think extra judicial separation is best suited in such marriage(customary). Thank you. More grease to ur elbow, my learned senior counsel. Thank you Charles for your commendations.Courtroom mail is glad that it added some sort of value to your understanding of family law through our explanation of Decree Nisi and Absolute.Keep following us. Again,in most customs in Nigeria,all you need to do is to return the bride price and you are good to go.That also suffices. I do not think that there is a custom that recognises Judicial Separation(Note,it is Judicial Separation not Extra Judicial)It is usually divorce or not. Hope I have answered your questions.Feel free to ask any other question you desire arising from our articles. I wish you luck in your studies. Thanks for your expository information on divorce issues. You did not give Bernice the answer she needed, which is dissolution of the marriage whether customary or registry marriage. I just discovered that the marriage I celebrated in Church was not in a licensed place of worship and since I did not go to the registry, what I have is a customary marriage. That being the case, it can be dissolved in a customary court at my hometown which is where my bride price was paid. My challenge is that I do not know how to contact my husband so how do I return the bride price which I am told is a requirement. I know the family home so do I send the money there via DHL or what? The marriage has BROKEN DOWN due to my inability to have kids and I really want this separation, so how does one go about it when my spouse and his family do not want to have anything to do with me! I just want to know how service can be brought to them because I can assure you, they will be uncooperative wanting to frustrate my efforts for trying to SHUT DOWN THEIR LINEAGE since my spouse was the first but not the only son. I know he has remarried but probably properly (registry etc.) this time but I really do not care ( even though I know I can sue to invalidate) the union, all I want is OUT. A couple married through traditional rites, had an unlicensed church wedding and also did a proxy marriage as the wife wanted to join the husband abroad. Now the marriage has broken down ,which court should the man apply to for a divorce? Please is there any law as to the minimum duration of court process for getting a divorce in a customary court. Assuming there are no custody or asset issue and both parties are in full consent. Also, what is the shortest and practically possible time of getting a divorce in a typical customary court in Nigeria assuming both parties agree to go through with the divorce. A friend and his wife who live abroad are thinking of traveling back to Nigeria to get a divorce considering the lengthy and costly option of getting it abroad. I’ll like to get your opinion on my case. Kindly provide me your email address. I am out of the country. Can you please give me the name and information of the courts to start the divorce I need. Susan, you can commence it in any High Court in Nigeria. One issue you did not touch one which is most important is the issue of domicile. You cannot just file for dissolution of the marriage without being ‘domiciled’ in Nigeria at the time of presentation of the Petition. Kindly expantiate on this to make the uninformed reader clearly aware of his or her rights. My marriage is 12 years old with 2 kids. My wife is absolute disrespectful and doesn’t give me rest. it has been quarrel and fight. Now she’s threatening to diabolically harm me. I want the marriage dissolved. What do i do? Good morning. Please we have been separated for two years now and the case has been in court for sometime now due to delay on the part of their lawyer. Please kindly advise in what to do because I want it dissolved very soon. is to talk to your lawyer about your concerns. Please what can i do? My wife walked away from her marriage and is six years now. No child between us. i don`t have money to file for divorce, can i remarry? My name is faith ejiofor. Good evening sir. I was married on 5th of Oct,2013 in Assembly of God church. I was blessed with a child. But starting from the first day I got married, it have been hell. Domestic violent, abuse etc. On March 19, 2016 we separated but not legally. I have ask him of my freedom traditional but he and his family refuse, saying only death can separate us. And my safety is not grantee. My mind have been long lost from him. Least I forgot, when we were not yet separate he boosting of how he will kill me and take my child to motherless babies home. A week before we separated he told me he have made requires abt motherless babies home. Later the day he took my child away (that was on Monday), I stay at home still that faithful Saturday, I was beat black n blue I run out half naked. Later I heard he took my son to his family. Am no longer interested in anything that consign that marriage. Pls what do I do to free myself.. These guy is also using black magic on me.. Becos he boost of serving a native doctor.. Pls I need help..
Dear Faith,sorry about your situation.What you should do going forward is dependent on what you want. Have you made efforts to settle and discuss the situation with family? Have you made up your mind to leave the marriage? If yes,you can contact a Lawyer to file the necessary papers. Let us know if you have further questions,we will be glad to answer. My name is Macgeorge , pls I need your help, my wife is so disrespectful to me and that I will never have peace in my life, I have two children with her a boy and a girl they are with her, it two years now we are not together in one house but I pay my children bill from a distance, she always create room for fight and war , I discovered that I can’t make her happy in life. Just this January 2019 I stopped sending money to them because my interest now is the custody of my children. My children are 6 and 4 yrs. No registry marriage only traditional. Pls advice me on what to do and how to go about it.